As many of you will know Christmas is my most favourite time of the year. I love coming together with family to celebrate the special meaning of the festive season. So it will come as no surprise that I have already designed my first christmas card. 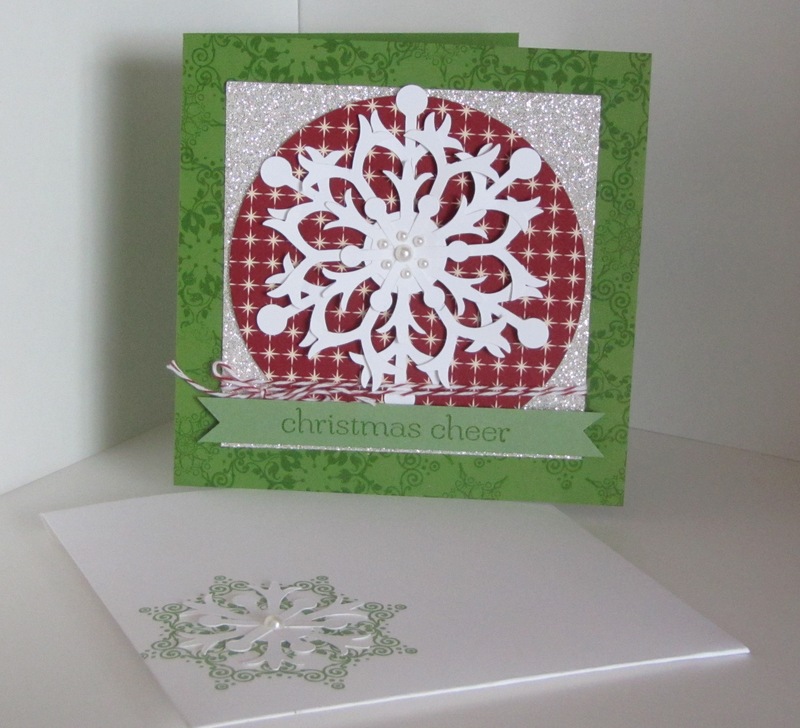 I used our new holiday catalogue (page 14) as inspiration for this card. The envelope was made using the new diagonal scoring plate. We will be making this card at Priscilla’s workshop in the beginning of October – but feel free to contact me if you would like to schedule your own workshop and get a kickstart on your Christmas Cards for the year or if you would like to order any of the supplies used in the card.